Here is a peek of the rug that just came off my frame. It is an adaptation of an old rug that I saw years ago at an antique market in the Adirondacks. It has been a long journey to get it done. It still needs to be steamed and bound. Never one to be idle for very long, I have already started on my third adaptation rug, and I am so excited about the colors! With all the snow we will get tonight, I should make lots of progress. 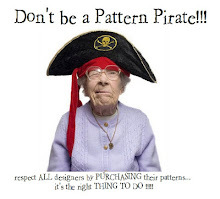 Just an FYI to all my customers out there: Pattern prices will be increasing as of January 1, 2013. It has been 5 years since I last had an increase, and over that period I absorbed the increased prices of the backings and shipping. Unfortunately now I will have to make adjustments. The good news is that you have one week left to take advantage of the prices before they go up! Also, if you were not already aware, Cushing is raising the prices of their acid dye packets from $2.95 to $3.25 on January 1, 2013. Spruce Ridge Studios carries the full line of Cushing dyes for all your wool dyeing needs!